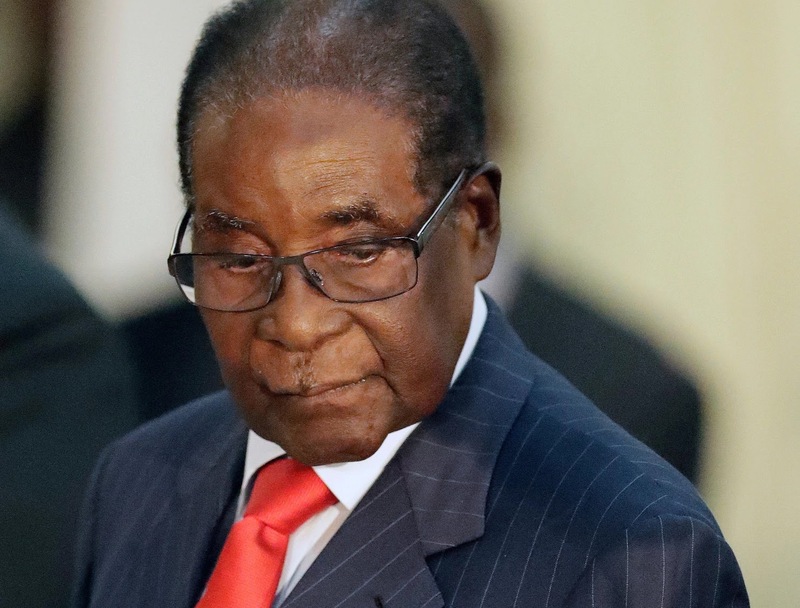 JOHANNESBURG, SOUTH AFRICA (AP) — The head of the U.N. health agency has revoked his appointment of Zimbabwe’s President Robert Mugabe as a “goodwill ambassador” after the choice drew widespread outrage and criticism. World Health Organization director-general Tedros Ghebreyesus last week told a conference in Uruguay on non-communicable diseases that Mugabe had agreed to be a “goodwill ambassador” on the issue. Mugabe was present at the announcement. He said he revoked Mugabe’s position in the best interests of the World Health Organization. Tedros also said he had consulted with the Zimbabwe government about his decision. The 93-year-old Mugabe, the world’s oldest head of state, has long been criticized at home for going overseas for medical treatment as Zimbabwe’s once-prosperous economy falls apart and the country’s health care system deteriorates. Mugabe also faces U.S. sanctions over his government’s human rights abuses. “This appointment clearly contradicts the United Nations ideals of respect for human rights and human dignity,” the State Department said. Ireland’s health minister, Simon Harris, called the appointment “offensive, bizarre.” ‘’Mugabe corruption decimates Zimbabwe health care,” tweeted the head of Human Rights Watch, Kenneth Roth. Two dozen organizations — including the World Heart Federation and Cancer Research U.K. — released a statement slamming the appointment, saying health officials were “shocked and deeply concerned” and citing his “long track record of human rights violations.” The groups said they had raised their concerns with Tedros on the sidelines of the conference, to no avail. The heads of U.N. agencies and the U.N. secretary-general typically choose celebrities and other prominent people as ambassadors to draw attention to global issues of concern, such as refugees (Angelina Jolie) and education (Malala Yousafzai). The choices are not subject to approval. The ambassadors hold little actual power. They also can be fired. The comic book heroine Wonder Woman was removed from her honorary U.N. ambassador job in December following protests that a white, skimpily dressed American prone to violence wasn’t the best role model for girls. The southern African nation once was known as the region’s prosperous breadbasket. But in 2008, the charity Physicians for Human Rights released a report documenting failures in Zimbabwe’s health system, saying Mugabe’s policies had led to a man-made crisis. Mugabe, who has led Zimbabwe since independence in 1980, has been criticized at home for his frequent overseas travels for medical treatment that have cost impoverished Zimbabwe millions of dollars. His repeated visits to Singapore have heightened concerns over his health, even as he pursues re-election next year.